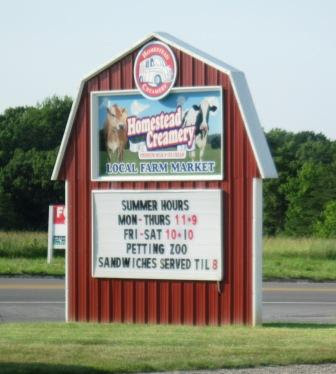 Two of the items on our Summer Bucket List was to tour the Homestead Creamery and eat ice cream sundaes for lunch. We decided we could knock both of those items out at once, only we'd be eating ice cream for dinner on this occasion. Inside the store are many local products like cheeses and cases of regional meat. They also have spices, jams, apple pie fillings, and extracts. We like to eat our cones on the back porch, which is covered and relaxing. They have about 20 flavors to choose from. I got my standby favorite, peanut butter. Check out the size of this cone - that's why it constituted dinner! Paul decided to try something new, and got blueberry pomegranate. 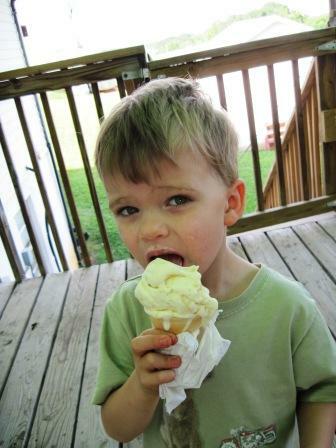 Pierce had lemon crunch in a kid's cone. 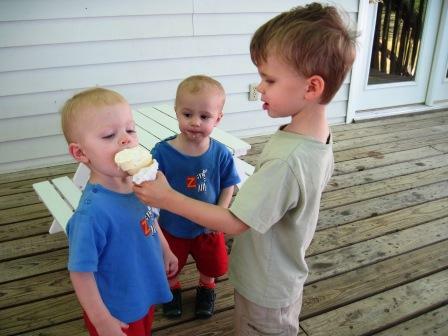 And we all shared with the twins. Ice cream for dinner makes for happy boys. Turns out the tours are only offered on weekdays, when they have people working in the production part. So we went out back to the petting zoo instead. 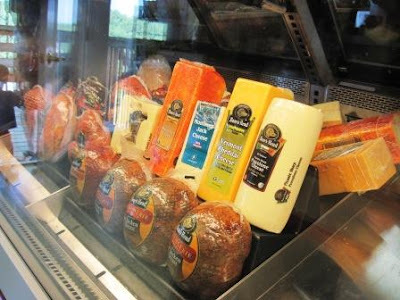 The people who were working the store gave us an entire loaf of bread to feed the animals! They're so nice there. 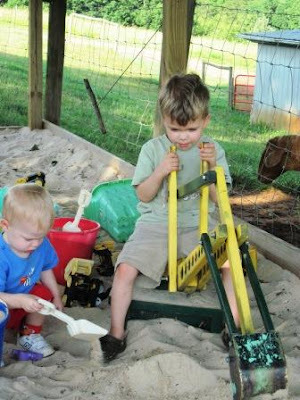 They have a great sandbox set up, so the kids can feed animals and play in the sand, all at once. Of course, Pierce went straight after this digger. He was in the construction zone. And no worries, I did supplement their dinner just a tiny bit when we got home! On a side note, wishing my Mom a very Happy Birthday today! You got to dig into sand and ice cream what fun! I love the favors you selected. What great outing! You two are such fun parents! Oh my goodness, your boys are adorable!! You are outnumbered for sure, but with blue blessings. Sweet post. 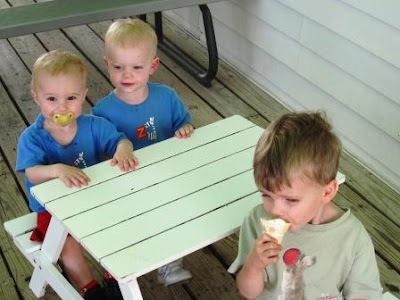 Love the pic of the twins sitting at the little picnic table: so cute! Your Pierce reminds me of my son at that age: if there's construction equipment around, he's going for it! Good Morning Lisa, It is a pleasure to meet you; thanks for stopping by to leave a comment. What a beautiful family and a great outing. 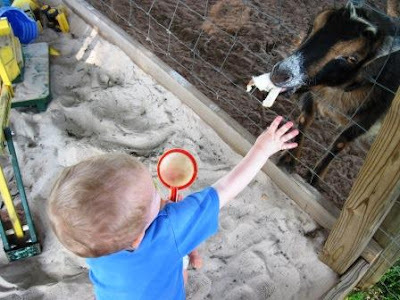 The petting zoo looks like a lot of fun and oh, the ice cream! 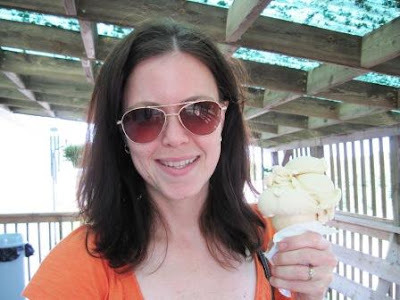 I love peanut butter anything so your ice cream cone looks especially tasty. I've signed on as a follower. Hope you have a wonderful day! That looks like sooooo much fun! I loved it when we were kids and my parents let us have dessert for a meal. It wasn't often, so it was special. Thanks for linking up to the party and for the great idea! Oh, and the tadpoles are in the mail! 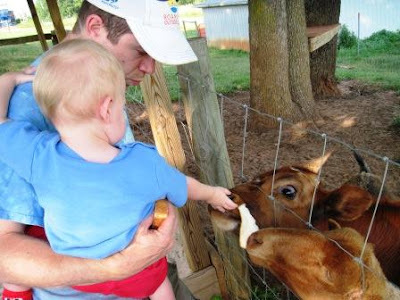 dairy and a petting farm. two of my greatest fears. thanks for letting me live through you. 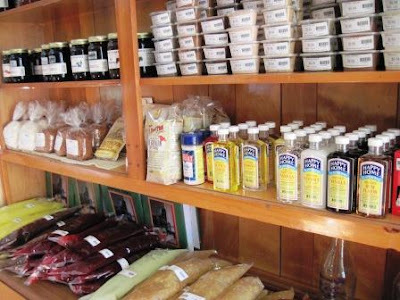 That looks like a fun (and tasty) place! You and your boys have so many fun adventures! Looked like a nice place to shop and have some ice cream - when I see your pictures I think about all the boys! love the size of that "kid's" cone! :) great dinner! 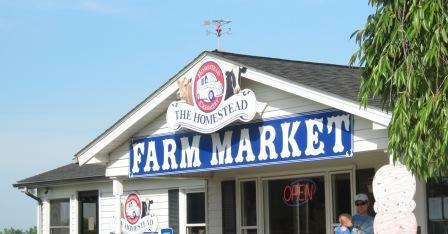 I never met an ice cream cone I didn't like, nor a cute farm shop. What a fun field trip destination! Amazing summertime fun! Love the flavors of ice cream and you have a beautiful family. What a fun place for kids (and me too) The ice cream sounds delicious! Ice cream for dinner sounds awesome! I had pie for diner last night! Gosh I love summer! 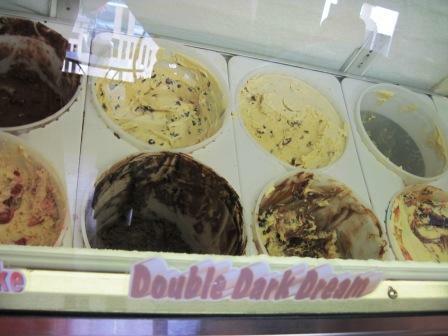 We have a local ice cream shop where ice cream constitutes dinner too! You certainly couldn't eat dinner and have room for even a "small" helping of their ice cream too --- so why not call it dinner on a hot Saturday night? BTW - thanks for your sweet comment on my blog post! Those ice cream faces are just too cute! It's nice to see that they're so friendly and welcoming there. The animals appeared to really enjoy that loaf of bread! What fun! 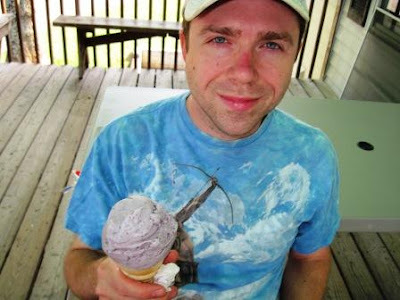 I want ice cream for lunch! This place looks amazing!!! I really want to go now. I Googled it, and it is two hours from here on the interstate. A bit much travel for me, but I may have to go later this summer!! I saw your tweet about this while scanning tweets this morning and I thought it said "crematory"!! I had to stop and read it again...lol. Looks like a great place to spend an afternoon. Peanut butter would have been my flavor of choice too! Looks like you guys had one fun time!!! You may remember that I am a ice cream kind of person. I would think that yall had the perfect meal :) also beautiful kids! Oh this looks like a blast--even without the tour. Man I want one of those cones! Heck yea, I want ice cream for dinner! That looks like a great day! That looks like a really cool place! The ice cream flavors sound delicious!